I made the trip down to DC for the StopWatching.Us protest. SWU is a coalition of a large group of civil rights advocates, including some big names like the ACLU and EFF. 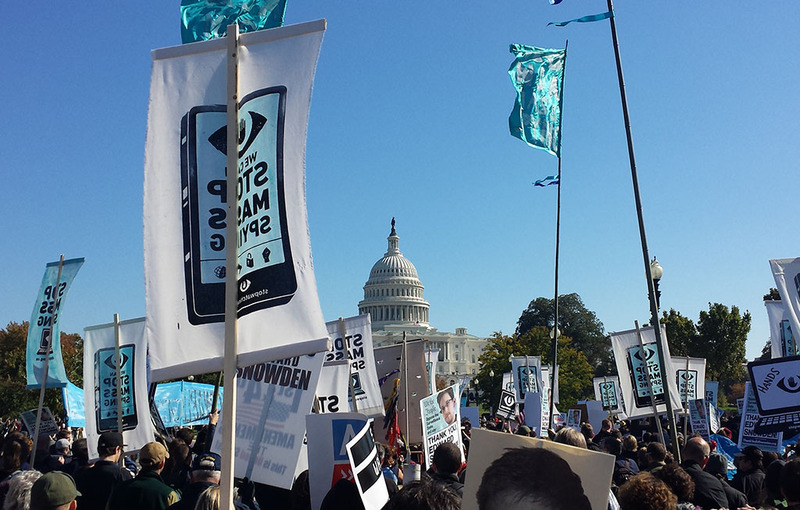 The rally was personally endorsed by Edward Snowden — how could I say no to that?! Several hundred protesters marched from Union Station to the reflecting pool at the National Mall and stayed for hours with one simple demand: no more mass spying on the American people. Speakers included the legendary Bruce Schneier, information security guru and general badass in the name of privacy, and the beautiful October day was the perfect day to be out in DC. It was great to see so many faces out there demanding change. We definitely need more of these events! If you find one that’s within your reach, please make the time to attend. Depression, Loss, & The NYPD | TSA Out of Our Pants!